Multiple industries. Hundreds of successful projects. With decades of experience across industries and regions, Westwood provides proven assurance and achieves safety, schedule and quality objectives in a way that’s collaborative and cost-effective. As experts in industrial electrical & instrumentation construction, we confidently tackle any industrial project and ensure its success. Over the years, our reputation for the highest quality workmanship and customer service has allowed us to deliver successful projects in a wide range of industries and regions. That varied and extensive experience gives us the knowledge, perspective and creativity to execute best-in-class solutions in every industry and region we serve.  Today, our focus is industrial customers in Western Canada, and with a permanent presence in BC, Alberta and Saskatchewan, we have a strong understanding of the needs of customers in these provinces, and they appreciate our commitment to build the communities we serve. In every industry and every region, Westwood has earned a solid and respected reputation. Our track record is a result of The Westwood Way, and an approach that’s flexible, responsive and sincere.